Now Joined by the Author's Audiobook Narration! Ever come out of church feeling worse than when you went in? Do the messages from the pulpit leave you feeling burdened and condemned? Then this book is for you! You are a "slave to righteousness" meaning, in the author's words, "one who is naturally aligned with the will of God". Being "dead to sin" and "alive to God", it is impossible to be otherwise! Nor are you subject to compulsive behaviors for, as LeRoy points out, "The addict died on the cross!" Diets, he says, are a type of Law, at best useless, at worst hellish, for the Law "makes sin increase." 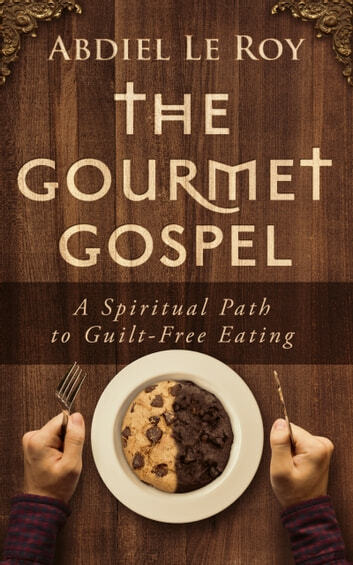 The Gourmet Gospel anchors readers not just in their immortality but in their immutability, inseparable from the love of God and their own greatness. LeRoy draws on a rich vein of ancient wisdom—from Homer to Shakespeare to Oscar Wilde—to show that fear and doubt are mere theatrical characters now, no more relevant to a person's life than the feelings feigned by an actor on stage! Meanwhile, with fierce prophetic fervor, LeRoy delivers a devastating critique of the condemnation regularly meted out to children of God from our pulpits of today. Enjoy this book (now joined by the author's audiobook narration) and, in the words of The San Francisco Review of Books, "breathe freedom"! 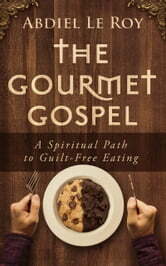 I highly recommend ‘The Gourmet Gospel’ to ALL believers, whether you struggle with your relationship with food or not. Abdiel LeRoy’s message is anchored in the truth of Scripture and is a clarion call for all Christians to grab hold in faith to who they are in Christ. We are not addicts, we are not slaves to our appetites nor to diet plans: we are slaves of righteousness. Our walk in the certain knowledge of this spiritual reality frees us from all Law apart from God’s Law of Love which promises through the power of the Holy Spirit to guide us safely, one trusting step at a time, into a life of abundance in Him here on this earth which He has freely given to all who believe. I thank the author for writing, and encourage you to read, this inspired book. Yes, I am a HUGE fan of Abdiel and Leroy. I've read AND listened to his books, yes, I've read his work, and then also listened to the audiobooks as well. I wasn't sure what to expect when I read the title, but I was sure that it would be worth the read, no matter the topic. I know how well Leroy writes, and how he tells his stories, very dramatically, and it fits. I've found myself rereading the classics, such as Paradise Lost and Dante's Inferno, as I was inspired to read them again, and again. I have also read Leroy's work just as much. Getting to this one, I was not surprised at how well the words flowed together, gaining insight, an insight of the author's feelings of religion, belief and faith. It's a majestic flow of words that expresses ideations and humanity, telling a wondrous story. As always, if Leroy writes it or speaks it, I will be there to read and listen.